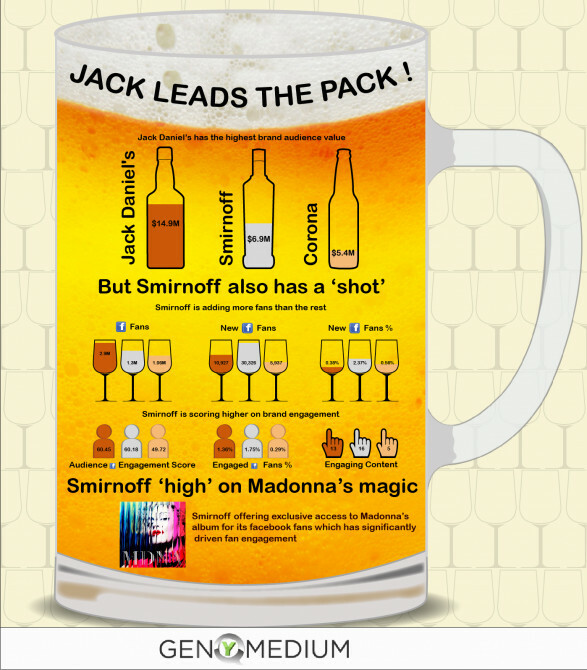 GenY Medium’s social media analytics on the top liquor brands shows how Smirnoff is increasing consumer engagement by providing exclusive access to Madonna’s music for its facebook fans. See the infographic produced with data on Jack Daniel’s, Smirnoff and Corona. Something for social media marketers to think about – is there something exclusive you could give away to your fans to drive engagement? Something not expensive, yet exclusive? ?